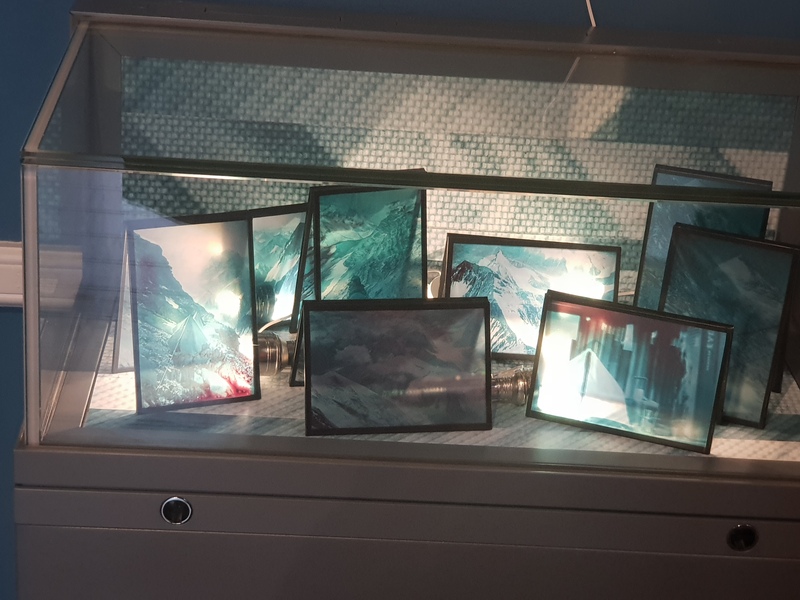 An exhibition by Stephen Livingstone and Abbie Garrington which explores the rich heritage of mountaineering literature by recreating historic Himalayan expeditions in miniature. The exhibition is open to the public from Monday, 18th February 2018 at Keswick Museum, Station Road, Keswick. This exhibition of handmade books, prints, artefacts and archival photographs is the culmination of three years’ research, planning,experimentation and making. It features a series of foldout books which record the adventures of two vintage Action Man figures as they travel the UK re-enacting famous Himalayan climbs on the towering shelves of important ‘mountaineering’libraries and archives. The Action Man team, fully equipped and dressed inappropriate climbing gear, are posed in a series of around thirty scenarios improvised on the shelves, stacks and stores. The setups are videoed and then stills are selected for inclusion in the foldout books. Each climb was selected because of its association with an important work of mountaineering writing. We begin with E. F. Norton's account of the fateful 1924 Everest expedition, move through the post-War period when so many of the Himalayan peaks were scaled (with reference to Maurice Herzog's Annapurna amongst others) and enter the modern age of adventure mountaineering with Pete Boardman and Joe Tasker's story of their scaling of Changabang (drawing on the books The Shining Mountain and Savage Arena). The project seeks to commemorate important climbs and literary accounts, and to draw attention to significant archives. It also considers risk, the climbing bond, human effort, geology and scale, and suggests that we can all climb, through reading, research, play and imagination.